The Canon imageClass D520 is the company's latest multifunction printer for homes and small offices. It's quite a big printer that weighs a hefty 10.5kg. Although big and heavy, a single person should still be able to set it up easily. Getting the printer up and running was straight forward - we just had to hook it up to a PC and install drivers which came with the printer. The printer's control panel is fairly well designed and has a four-way directional pad that makes it easy to tweak the settings and choose print jobs. The scanner bed can be opened to reveal the output tray. And hidden beneath the output tray is the cartridge compartment. 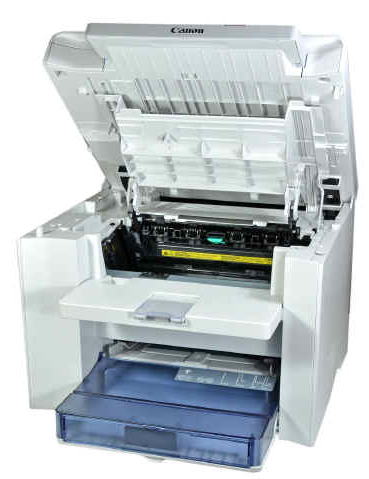 We like the single-cartridge system which combines the toner and drum into a single unit. This makes it easy to replace the cartridge in the future. At the bottom of the printer is the manual paper feed tray which can hold up to 250 sheets of paper. You can also manually load the paper into the feed tray at the bottom. It's cool that the D520 features automatic duplex printing. It's a really useful feature to have as you'll be able to save paper (and the environment) by printing on both sides of a paper. Also, the duplexing feature comes in handy when printing brochures and such materials. We tested the speed of the D520 by printing a number of A4 documents and it was able to churn out pages at 25ppm (pages per minute) which is actually the rated speed by manufacturer. The quality of the printouts were impressive - the text was crisp and sharp. The printer is also capable of scanning colour documents and photos at a resolution of up to 9,600dpi (dots per inch). Scanned documents are saved in PDF format in the computer. 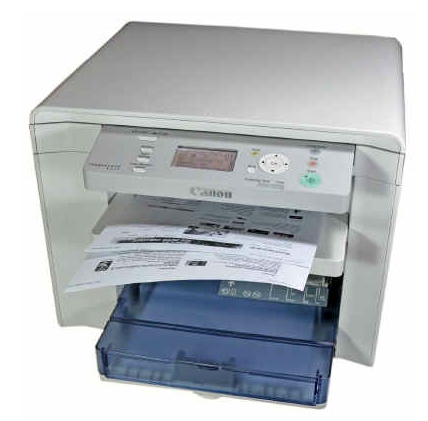 The printer can also be configured to attach the scanned document to an e-mail automatically. The printer's scanning speed tended to vary depending on the type of document being scanned. It only takes about three seconds to scan a monochrome text document. A colourful brochure, on the other hand, can take the D520 about 13 seconds to complete the scan. The quality of the scanned documents looked accurate and sharp, and it's a great way to digitise a document and send it via e-mail. There is a lot to like about the all-in-one Canon imageClass D520. The laser printer produces professional-looking printouts and the built-in scanner does a decent job. As the printer prints out at 25ppm, you also don't have to wait long to get your documents. And its automatic duplex feature works great and it's a handy feature to have that saves paper. And when it comes to changing the cartridge, the single-cartridge system makes the task simple and easy. Overall, the all-in-one Canon imageClass D520 is a decent printer that performed well in all areas. Pros: Feature-packed; convenient single-cartridge system; automatic duplex printing; good print and scan quality.